Niall is a Professor in the School of Health and Human Performance and a member of the Centre for Preventive Medicine in DCU. He received his masters degree from Purdue University, Indiana, USA and Ph.D. from the University of Pittsburgh, Pennsylvania, USA. He completed a three year National Institute of Health Post Doctoral Research Fellowship in immunology at the University of Pittsburgh Medical Center. He was Director of the Clinical Exercise Research Laboratory in the Division of Cardiology at the University of Pittsburgh Medical Centre and later moved to Connecticut to take a position as a Senior Research Scientist in Nuclear and Preventive Cardiology at Hartford Hospital. He has published over 90 research papers in international peer reviewed journals and presented his work at international conferences. Niall has held the positions of Head of the School of Health and Human Performance and Associate Director of the Vascular Health Research Centre at Dublin City University. He is currently a Principle Investigator on the Science Foundation Ireland funded CLARITY research centre. He is a Fellow of the American College of Sports Medicine and has a keen interest in Gaelic football and athletics. Nial was manager of the Irish U-17 International Rules team that toured Australia in 2006. In recent years he has managed the DCU senior football team to 3 Sigerson cups, 2 O'Byrne cups and a Ryan Cup. In addition, he was a selector on the St Vincents team that won the All-Ireland club football championship in 2008, and has been part of the Dublin senior football backroom team that has won 3 Leinster senior football championships and the All-Ireland senior football title in 2011. Cullen BD, Cregg CJ, Kelly DT, Hughes SM, Daly P, Moyna NM.. 2013. Fitness Profiling of Elite Level Adolescent Gaelic Football Players.. Journal Of Strength And Conditioning Research, 27, 8, pp2096-2103. 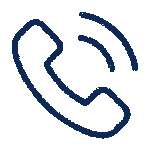 Hoffman EP, Gordish-Dressman H, McLane VD, Devaney JM, Thompson PD, Visich P, Gordon PM, Pescatello LS, Zoeller RF, Moyna NM, Angelopoulos TJ, Pegoraro E, Cox GA, Clarkson PM. 2013. Alterations in osteopontin modify muscle size in females in both humans and mice. Medical Journal Of Malaysia, 45, 6, pp1060-1068. Benito-Lopez F, Coyle S, Byrne R, O'Toole C, Barry C, Hughes, S, Moyna N, Diamond D. 2012. Real-time sweat pH monitoring based on a wearable chemical barcode micro-fluidic platform incorporating ionic liquids. Sensors And Actuators B-chemical, 171-172,, pp1327-1334. Van Deveire KN, Scranton SK, Kostek MA, Angelopoulos TJ, Clarkson PM, Gordon PM, Moyna NM, Visich PS, Zoeller RF, Thompson PD, Devaney JM, Gordish-Dressman H, Hoffman EP, Maresh CM, Pescatello LS.. 2012. Variants of the Ankyrin Repeat Domain 6 Gene (ANKRD6) and Muscle and Physical Activity Phenotypes Among European-Derived American Adults. Journal Of Strength And Conditioning Research, 26,, pp1740-1748. Niall Moyna speaks with Marian Finucane on RTE Radio 1 (10/05/2015) to talk about obesity policy. 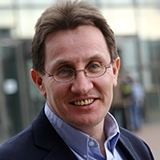 Niall Moyna of DCU joins a panel on RTE Radio 1 - Drivetime (06/05/2015) to discuss the World Health Organization's report that says Ireland is on course to have Europe's fattest people by 2030.